Er is een nieuwe blog verschenen over de nieuwe hete luchtballon die alleen in de nieuwe wereld Aurora Skies zit. Wanneer de Nederlandse blog verschijnt plaatsen wij deze natuurlijk ook op de site. 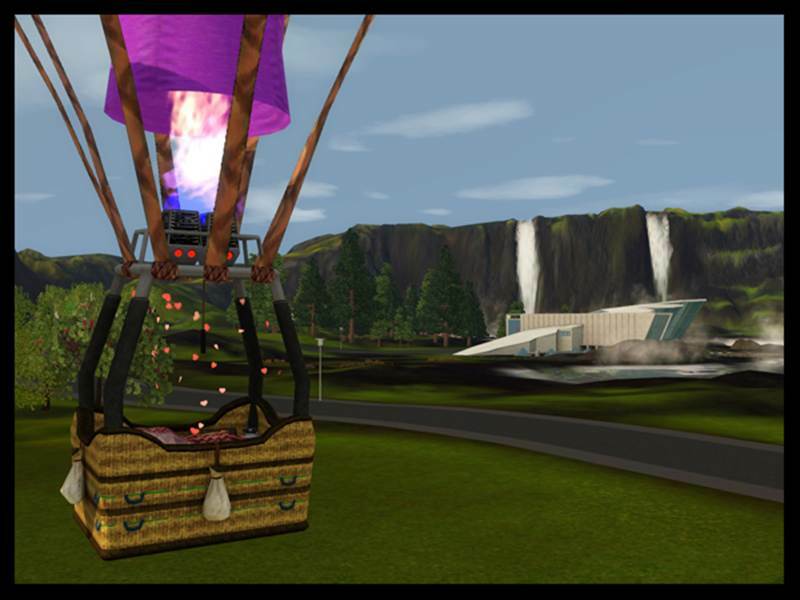 Here’s a special peek from designer Alan Copeland talking about the Hot Air Balloon, available in The Sims 3 Aurora Skies. Make sure to pick up Aurora Skies on February 21, 2013 from the Sims 3 Store! When we first started talking about what items that would fit well in Aurora Skies, I wanted a big impact item that would really speaks to the romantic aspects of the world.I mean, doesn’t Aurora Skies look like to perfect place to take a date? What could be better than sharing drinks with that special someone while watching the sunset transition into the northern lights? 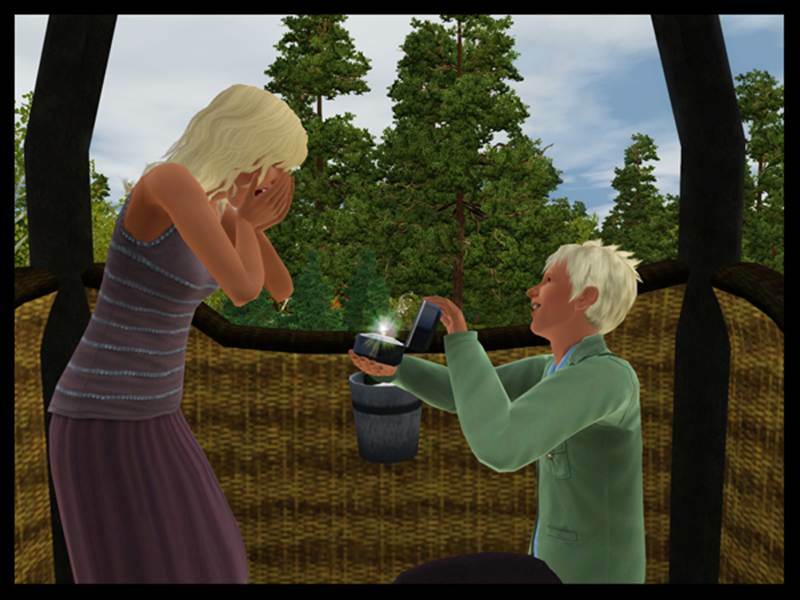 Or proposing in the mist of one of the most spectacular waterfalls the Sims has ever seen? I know… doing all of that while floating above the earth in your Sims very on Hot Air Balloon! 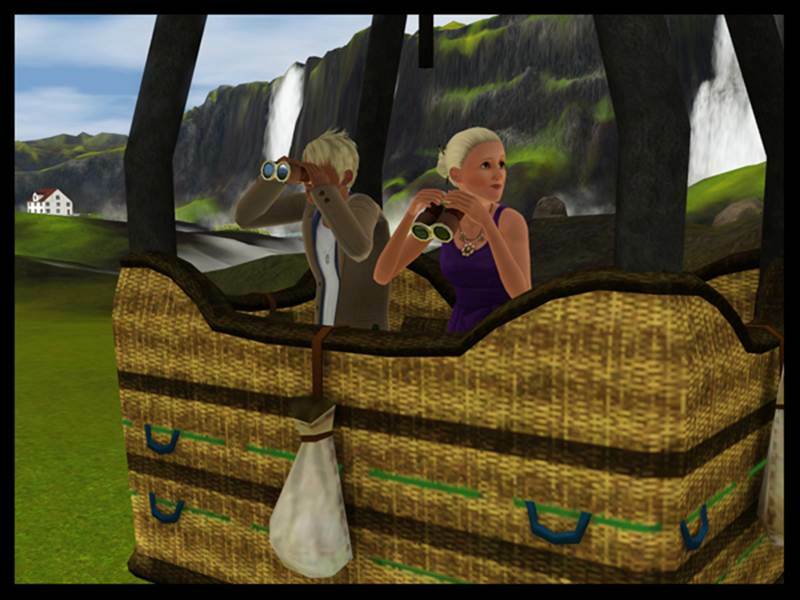 Even if you’re Sim is alone, or stuck in the friend zone, there’s fun to be had going up to do a little sightseeing. While you can certainly find some “Glorious Views” (new moodlet!) watch out, because some things can’t be unseen! And who doesn’t want to arrive at work in a Hot Air Balloon? 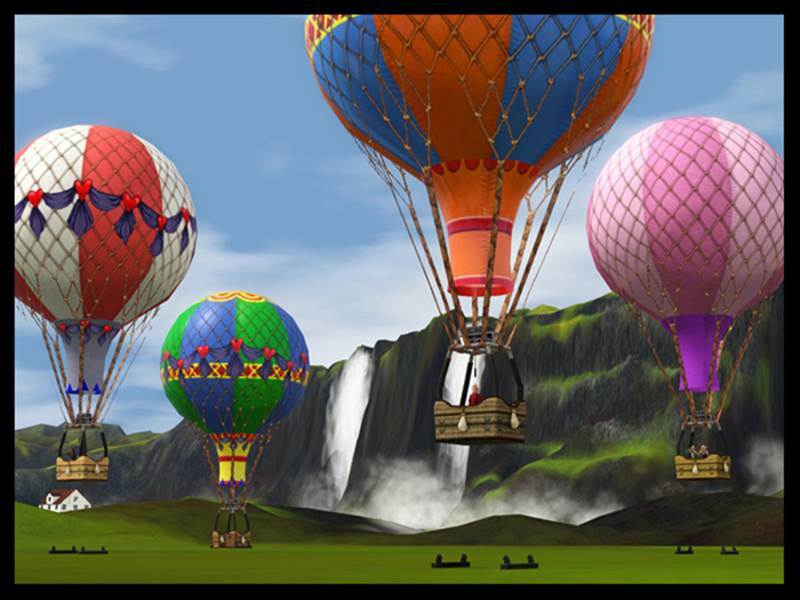 From Map View you can pick your favorite location to fly too and the Hot Air Balloon will whisk you away to your destination! 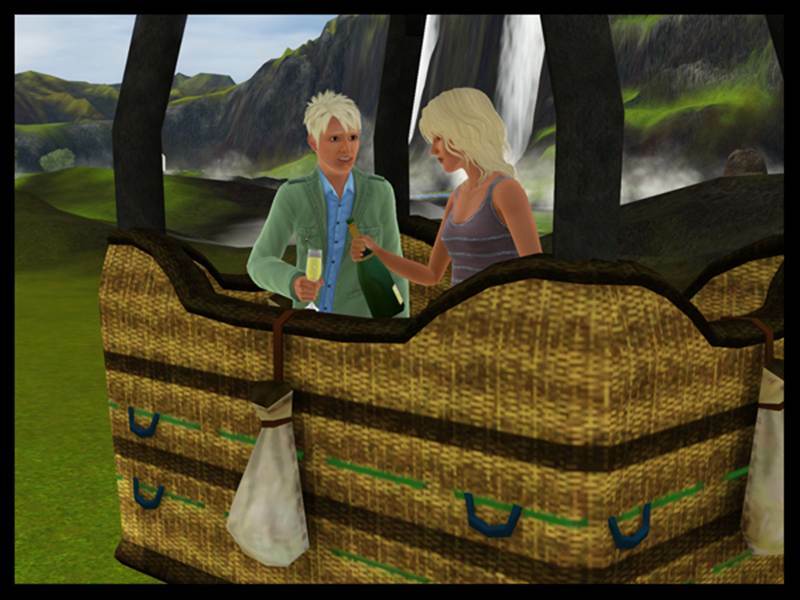 We knew from the forums that many players have been asking for more romantic interactions, so the Hot Air Balloon allows you to break open some cider and set the mood with that special someone. Nothing says “Grand Romantic Gesture” (new moodlet!) 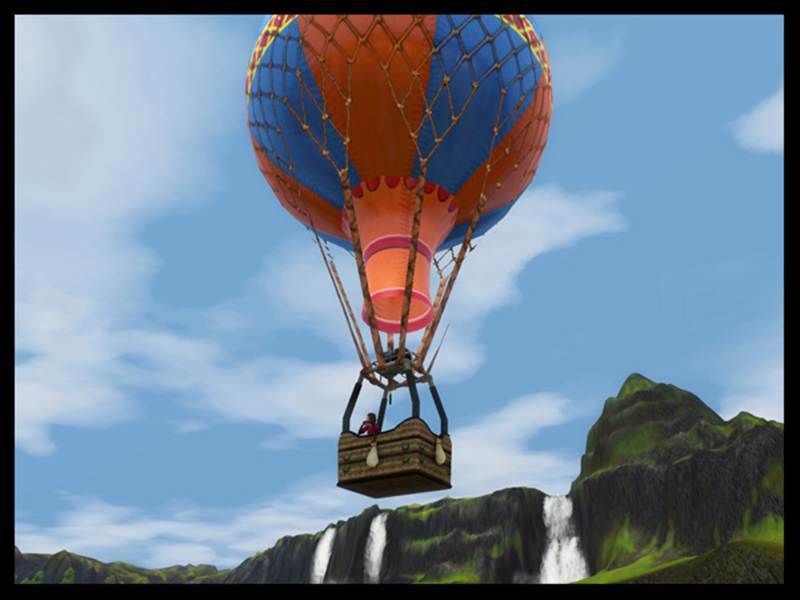 like proposing to the Sim of your dreams in a Hot Air Balloon! And we couldn’t design new romantic interactions without giving those Sims a new place to Woohoo! Love is definitely in the air with the Hot Air Balloon! I hope you like what you’ve seen so far! 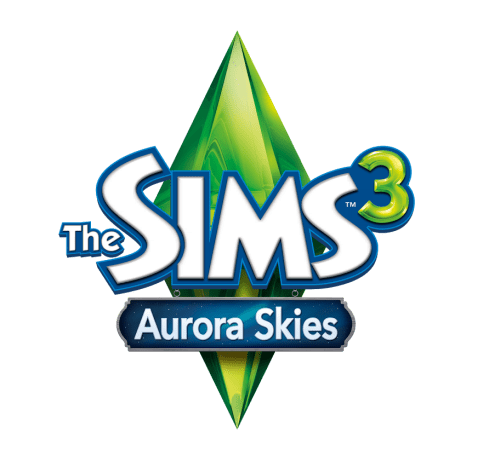 Keep an eye out for more information on the Official Discussion thread in the Sims 3 Forums, and definitely tune into The Sims 3 Broadcast on Feburary 14th to learn even more about Aurora Skies. * Graag geen vertalingen plaatsen in de comments, vertalingen worden verwijderd. is’Aurora skies’ nou het zelfde in het nederlands, of zeg ik nou iets doms? Nou ik vind die luchtballonnen niet echt interessant.